People access hundreds of online resources from different types of devices to determine where to go and what to buy. Seeking up-to-the second information, reviews and confirmation from friends and family before they make purchasing decisions. The 20 Slide Guide to Local Search, Social, and Mobile…is a small business guide for owners looking to focus on the most important marketing channel to GROW their business. Today we’ll spotlight several online marketing channels for you to focus on to insure you don’t miss out on valuable new customer traffic. In the comments below let us know how we can help you focus your Local Search Marketing Strategy or ask us a question to help you GROW your small business. I Have a Question Click Here! 4. WHAT WILL I LEARN? Why it is so important for local retailers and professions to focus on local marketing. Whether local search marketing is the best option for your business. What you should focus on to drive the maximum number of new customers. Your local community is your most important market! *Local retailers return 52% of their revenue to the local economy vs. 14% for national chain retailers. *Local restaurants recirculate, on average, 79% of revenue locally vs. 30% for restaurant chains. It’s where your kids go to school, play, and it’s where you live and breathe. Businesses focused on their local areas are a major driver of the economy. *Study by Civic Economics cited by the Institute of Local Self-Reliance. What is the role of mobile devices in local marketing? Over 85% of Americans (and growing) have cell phones Nielsen reports 79% of US smartphone and tablet owners have used their mobile devices for shopping-related activities. 73% of smartphone users use them to locate stores. 45% of smartphone owners are reading reviews for recent purchases or future purchase purposes. 36% use them for redeeming a mobile coupon. 8. CHALLENGE OR INCREDIBLE OPPORTUNITY? So far, the number of companies using location data as part of their marketing plan is fairly small. Take advantage of your competitors’ oversight. 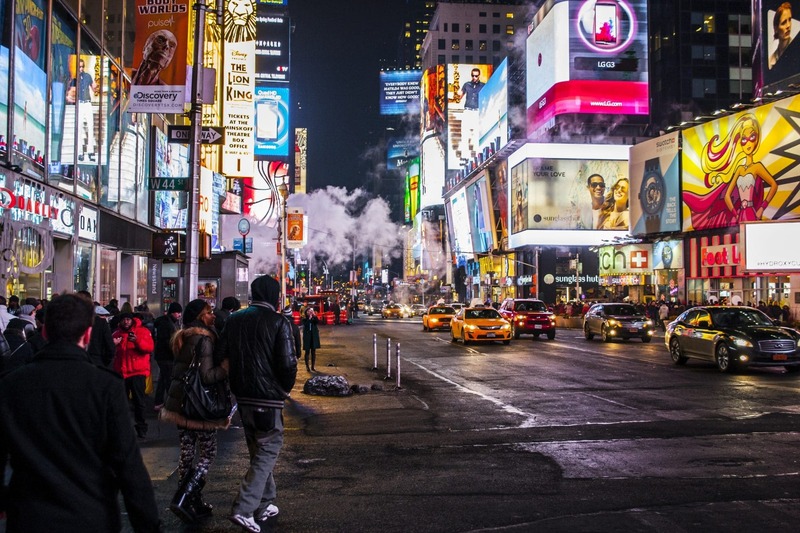 Use mobile marketing and location data to corner your local market. 9. IS MOBILE RIGHT FOR YOU? Evaluate existing web traffic (http://www.google.com/analytics/) On average, most websites have over 20% of their traffic coming from mobile. Are you missing out on the mobile opportunity? Provide consumers with up to the second information on what their friends trust and recommend. People TRUST the recommendations of their friends over traditional ads! This makes having complete social profiles and accessible information a HIGH priority going forward. Google+ uses friend recommendations, reviews & connections to increase the likelihood of your webpages in search results. The potential to attract new customers via local search is enormous. Online User Review Report: Companies who have websites that have visitors who interact with user- generated content (REVIEWS) are 81% more likely to make a purchase and 27% more likely to make a return visit. Than visitors who did not. Reviews are critical for any local business how you respond manage your reviews can influence future business. If you’re getting reviews, being the verified owner of an entry means you can control or respond to them. If your company is blogged about, has posts made to Facebook or reviews published on Yelp, you should respond within 24 hours, good or bad. Make your brand about your local community, and listening to your customers is very important for your business. Use a FREE service (http://google.com/alerts) or paid service (http://moz.com) to monitor all brand mentions. Ever SEARCH For It? Of course you have. Search engines have become a go-to place for consumers and businesspeople alike to find addresses, phone numbers, business listings and more. It is important to “claim” your location. “Make sure you own the rights to control your business’ entry.” Make sure it is in the right location on the site’s map. Even having a map pin show a few stores away can cause customer confusion. Building an email list is crucial; really building that list of people that are interested in your brand. *Email Marketing Benchmarks: Key Data, Trends and Metrics, August 2012. The study notes that email is used daily by about 60% of US email users and 88% of mobile phone email users. While open rates are increasing, click-through rates have fallen in 2012. 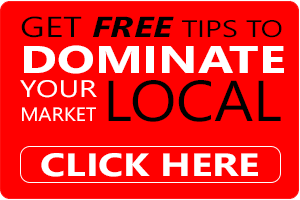 Create a Local Marketing STRATEGY! STRATEGY means a broad plan over a period of time to achieve your goal. Local Marketing Tactics include organic content and purchased ads. Have Key Performance Indicators (KPI’s) to track the effectiveness of your channels. Set goals and drive growth in your business.